No more cellphone rants, I promise! Tom and Ray have put it all together here so I don't have to say another thing, besides that I found their site by searching "OnStar safety?" I was wondering what happens when the wreck destroys the battery? Interestingly enough, the search took me to this response by the Car-Talk guys to GM's onstar study. Now I can "shut up and blog"
The end is near. The world is watching as August approaches. The beginning of the end. This is the time to make up your minds. Not later. Not when it's too late. When it's all over. This is not a time for indecision. Things are heating up. Now is the time to get your house in order. It will all be over in three months. Are you ready? It's only too obvious it's upon us. Read the signs. Listen to the crowds. Here they are, the dog days of summer. People all over are taking a stance. Finalizing last minute business deals. Reading the news, watching the polls. Putting their ducks in a row. Counting the days. Choosing sides. Praying. Hoping. Longing. It's the natural cycle of things. The "come-what-may." The inevitable and the uncertain. The hopes and fears of long sought dreams, capable of being crushed in an instant. In the twinkling of an eye. Deep down we know that the outcome is all for the best, when it's all over. Even though many throughout the land will be in agony. Defeat; Painful injustice, let-down-ness. What city will be rejoicing come November? Which one, perhaps? What region will sound the trumpet? We can only hope it could be ours. We could use something to celebrate, couldn't we? We could use a party. Which party would you go to? Where would you feast and toast? Would you cheer? Or would you hold back, on account of the others, the less than fortunate across this great country? Of which you are a part, of which you are party to. Will you praise, or will you feel guilt? Will you be enraptured, or left behind? It's not too soon to ready yourself. To prepare. To take stock. What will you buy? Water? Bread? The basics? Or champagne and caviar? These are the days that separate the men from the boys. The sheep from the goats. You never know, what might happen. When it’s over. This is the time of year. The days of determination. The season of selection. This venue of verdicts. Why, Election, of course. THE selection. The thing that makes us who we are. Defines us. Makes us the greatest place on earth. There are some in this room who may be winners. There are some among us who may very well be losers. But we need to stick together through it all. We must remain as one. Never forget the true goal and spirit we all aspire to. Never forget our prime directive. Our unifying nature. When it's all over. September will be the calm before the storm. The pacing. The calculating. The realization that so much is beyond our control. Oh the stick-to-it-iveness. The resolve. The get-em-on/get-em-over/get-em-in. Things will narrow down before October; we'll have a better idea of who is close, and who's not. Of who is "in the running.” Who has the best chance and who will inevitably concede. But when it comes down to it, when October is a memory. When the last pitch has been made. The last ballot counted. The last call made. When the fat lady has sung. November. Only one. Only the greatest. Only the best-of-the-best will be the champ; will feel the champagne burn the eyes, will be covered in confetti; will go home a winner. Only one will wave at the ticker-tape parade. Only one team will congratulate one another, having held together throughout the campaign, through thick and thin, through the pain and the glory. But, Bragging rights will just have to wait for early November. When it's all over. The Power. The fame. The Champion. The ChampionS. THE champions. The end is near. The series. The World. The World Series. Play Ball! And Go Mariners! It's really much more affective as a speech. I decided to take a break from restoring some old radios tonight and walked up to the corner coffee shop. I had heard there'd be a guitarist from Seattle starting at 9PM. 103 degrees was the 'official high' in ellensburg today, but it was very muggy. Travis was the guitarist and I was delighted I caught his act. Acoustic guitar through an Oberheim Echoplex, so he'd record his accompaniment. His CD lists the personnel as Travis; Acoustic Guitar, Loops. The loops being his acompaniment which ranged from Bass, Drums (whacking the side of his guitar) and space sounds he processed all out of his acoustic. I was loving the melding of acoustic/digital technology. Later, seeing his CD cover as a pen drawing of a robot playing an acoustic six-string. Marvelous. Simply marvelous. Now, as you expected, the down side. Three minutes later his phone rings. In the middle of the room, in the middle of a song! He answered with "HELLO" before he was out the door in a manner that would have made you think he was a doctor expecting a call from the emergency room. Sure enough, his friends showed up a few later. Now it's not like I let this guy distract all my attention, it would have been difficult for anything to destroy the peaceful sounds Travis was creating, weaving, recording; live recording studio! wonderful soaring melodies on top of mesmerizing rhythms. Peaceful. Technology tamed. Then there's dumoflick with his technologically challenged sense of respect and couth. I had a mind to say something to him afterwards but quickly realized, as he passed by the tip jar one more time, trying to divert Travis' attention from me, that it wasn't worth trying to exlpain to him what rudeness is. I spoke with Travis a bit afterwards and his mind is an equal symbiosis of technology and acoustic. What a pleasure to hear someone using the "wonders of modern digital science" in a way to calm the soul and make one forget about all those who abuse it. I have long held a disdain for cellphones. It seems now God has made it clear how he feels about them. Notice there have been four cases recorded to date! Get 'em God! I believe they are perpetrating rudeness. It used to be public telephones were in a sound proof booth. They make me not want to ride my antique Harley. (It's dificult enough to ride when there's no one else on the road while using a foot clutch and hand shift, let alone when there are people driving while talking on the phone.) Now, while driving my 'large-hunk-of-Iron-bumpered' 1955 Chevy Pickup truck I have a hard time not wanting to ram them. Maybe between me and God we can diminish the cell phone population. A few weeks ago I went bowling with the CWU College Republicans. I grew up in a bowling alley so it was really wierd to be back in some lanes again after decades. My dad was co-owner of Kent Bowl. He used to drill his own bowling balls to compete in leagues. My Mother was a leaguer too, in fact I'm not quite sure who was the most serious about knocking over a bunch of pins. I couldn't go to the meeting but decided I'd show up at the "after-meeting social event." I was early (or they were late) so I rented a lane to see if I could still remember how. I went right up there and hurled the ball, trying to do it without too much thinking, and see what came back naturally. I was "so-so" years ago. It felt pretty good, I think I got more than five pins. You can't tell at these lanes. In Kent they had the 10-pin pattern to light up when your ball was being returned. A "birds eye" view. Meanwhile, as I'm wondering why my $3.99 Goodwill ball, with BILL's name on it, was not coming back to me. The manager showed up to alert me I had to type my name in the scoring machine. I told him I was from the era of pencils. I assured him I could type my name as he was wanting to point to each key that spelled my name. When I was succesful, he pushed the GO key for me. Good thing. I had decided to leave my glasses in my vest pocket. Bowling is another one of those skills that if you think too much about it you descend into that realm of over-analyzation hell, where you end up tripping yourself. He pressed the reset button for me too. 'Bill' still didn't come back. I had to press it again. Reminded me of the hours I used to spend "behind the chutes" when Dad needed to repair the retrieval system in Kent. So with ball in hand for another gracefull hurl. I now had an audience. I should have handed out some of my Geico caveman flyers. I was also in that over-analytic mood, realizing I didn't get to practice my score recoring skills. So I couldn't remember which foot to start off with. It crossed my mind how I passed up ballet lessons. One and a half games, and I figured it out, mostly. Then the Republicans showed up. I had never met the club, except for on-line, so I knew what they looked like. They all knew how (and why) to type their name in already, and seemed ameanable to allowing an old guy in their activity. They were all nice, and interesting. But there was still something missing. The computer scoring machines took half the fun out of it! All I had to worry about was throwing the ball. I found it more difficult to remember when your turn is unless you're involved in the game by adding and multiplying. It could be age too. I wasn't as shocked as I thought I'd be at the price of a game and shoes, standard inflation stuff. Computers ARE more expensive than pencils..
Technobabble, technocrat and technocratic, technocracy, and finally Technological. Recent use of the term Technological triggers my oxymoron detector, since much of what is being developed these days is rather 'techno-illogical.' Or, what I have referred to for years as OverEngineered. You don't have to go far to confront this recent tendency today. From slicers and dicers in your kitchen to automatic toothbrushes in your bathroom, too long a list of things in your office and most noteably the vehicle you use to get to and from your office, unless, of course, you're one of those fortunate enough to work in an "e-cubicle." Today's horseless carriage has been littered with useless and often unsafe techno-illogical advancements, and it doesnt look like it's subsiding any time soon. Ask Me what the etymology of invent is. Latin. invenio. It's a verb and means "come upon, discover, to find." Most of you are aware I've gone back to school to get an Engineering degree. I'm not doing it for the money, though the field is leading in income brackets, I'm doing it because I love creating and inventing. But what company am I going to keep once I enter that field? Have we reached some kind of "super-saturation" point of innovation? As I keep an eye on the current state of invention today, Try as I may I can't ignore the engineering mogul Microsoft. Bill Gates, who is absurdedly refered to as Chariman and "chief software architect" (I seriously doubt he has written a line of code for decades) spent most of his keynote addresses last year touting his new "Windows Mobile" technology along with an "ultra-mobile" TabletPC. Now there's a bright idea. As if it's not bad enough that everyone is ignoring the distracted driving laws by talking on the phone, let's push surfing the internet, sending e-mail's and looking at maps while driving. There's a reason why maps have been difficult to open and close for years, get it? So why do we continue to try and "build a better mousetrap?" Plain and simply; because we can. The tendency for overengineering the automobile is not new. Consider; Electric windows. Who drove here today in a vehicle with crank controlled windows? It's a good thing you didn't have to drive over a bridge crossing a large body of water. Imagine trying to escape a sinking car when the water has shorted out the electric windows. Even those glass shattering hammers they sell at the auto store won't help you much until the pressure inside has matched the outside by filling with water, and then you're not going to be able to get much of a swing. Crashing into another vehicle can also damage the power source to those handy controls. If you can't get out a crank would at least allow you to let some of the smoke out while you work around the airbag to find your jaws-of-life, perhaps even more impractical than the hammer. Despite the safety concerns this modern innovation of overengineering has become the norm in current automobile manufacturing. Many innovation-driven manufacturers hold contests to encourage new ideas. Although I had to laugh when Microsoft held a "Youth" engineering contest last year in New York and the award was presented by P-diddy or puff-daddy Combs. (not my top canidate of a "role-model" for up and comming engineers.) I haven't been overly impressed with too many of such american-idol or star-search influenced efforts. One such was the National Technical and Career Conference appropriately held at Disney-World. I have here the "Engineering News" newsletter for Berkeley students, faculty and staff. dated March 13th 2006. Berkeley's team won second place with their "Hands-Off Toilet, a bathroom system that automates the raising and lowering of the toilet seat and flushing process." It's been my contention since the advent of automatic flushers that we are fostering a generation of kids that don't know how to flush a toilet, what will this do? According to Eustaquio Alfonso Carrillo, leader of the team of, the article points out, all men: "We did it so that women would stop complaining." Well, I've got news for him. I couldn't find out who won first place, the website of the hosting group was down. Imagine that. Was all this intened to make a mockery of Engineering? I'm not so sure, the headline of the article is: The most brilliant and practical design idea this side of modern plumbing. OK. It IS Berkeley. Or, as one poupular talk radio host likes to call it: Berzerkley. The same school who has been advocating "gender-neutral" restrooms. I've only presented the tip of the iceberg of countless examples of useless "features" built in to modern-day consumer products. What can we do to thwart this absurdity of innovation and tendency toward need-less driven over-engineering? ...besides fostering minimalist engineers like myself? One idea came to me as I was reading a recent blog by a computer-programmer (in my mind the most blatant perpetrators of overengineering) he suggested that the antithesis of over-engineering is elegance. I started programming computers when 1 megabyte was a bunch. It was precious, we treated it with respect and made the best use of it. Elegance. This makes sense to me. Watch for elegance. Also, be vigilant and aware of this tendency for overengineering and remember the success of technologies is still consumer driven. And don't forget to put the toilet seat down. Thought I'd share a little chuckle I just had. I was about to pack away a plastic (yes, I use them for all sorts of things around the shop) grocery sack. Paper is so hard to deal with...for one thing they don't seal up like plastic. When I saw the paper receipt in the bottom. Usually I only bother with them when I know my name and last four of my bank number is printed on them for all the world to see that I got 3 pairs of unsderware at "Buy 2 get 1" prices. This one with purple background and big Yellow lettering caught my eye. Right above the Yellow lettering in white read "Does Register Tape Advertising Work?" And the obligatory 1-800 number in black beneath. I was sure they were printing these things from some tower in New York City. Yep, two squares above a pot of gold graphic with a receipt.coupons URL. At least they are adding some color to my life. I know most of the tapes I get around town are plain white, I'm constantly picking them off the ground when they spill from the floor of my pickup. I know, you're thinking "You have all those plastic bags wadded up in the shop, why don't you strap one to the cigarette lighter, you're not using that much anymore?" I guess it's the rebel in me knowing there's a law telling me to do something. Also I need all the tight sealing bags I can inside to seal up the identity stealer's gold mine of recepts that I miss. I'll bet there's a name for that in blogdom-world, but I'm not privy. The Yellow lettering read "IT JUST DID!" It took a nanosecond for it to reach my already strained with school brain, but when it did I chuckled. Half of a second chuckle was quickly squelched with my typical cynical "Yeah, but for who?" I squinted at the fine print to see what the location of one of the real advertisers was. Downtown it read. Ellensburg? it was...I know them! Visions of the technology it took for LOCAL businesses to get their coupons on the back of a ticker tape from that mega chain. It really wouldn't be that hard, I thought. First I went through a litany of possibilities of who actually reads these things...miserly penny pinchers who I'm not sure I'd want as customers anyway; second, I was back to chuckling about the Yellow ad, I was sure I'd never use them. On second thought, what was that website? 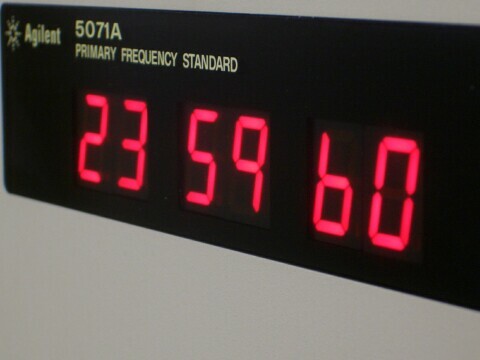 How are you going to spend your Leap Second? Look again. Normally the atomic clocks would go from 23h 59m 59s to 00h 00m 00s but this year because the earth is slowing down, they will add a second. A Leap Second. The last one occured in 1998. So how will you spend 2005 December 31 23h 59m 60s? Perhaps you can contemplate that if we didn't add the second (which some are proposing) we'd need a Leap Hour in about 900 years. That would certainly give you more time to contemplate the slowing down of the earth's rotation. Here's a site dedicated to the subject LeapSecond.com My favorite link is the one of the chess set made with communication connectors. I'm going to spend mine working morse code with my straight key for SKN (Straight Key Night) --maybe we'll hear you? When I first saw this story, I thought they were talking about me going back to college. 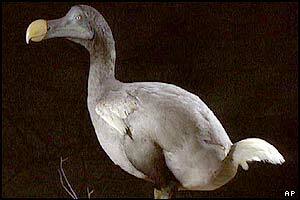 But no, it's true, some engineers want to reconstruct the Dodo bird from DNA. Why? Because they can. Let's bring back the Edsel too! They called them dumb becasue they would run away, and if they did they weren't hard to outrun. It wasn't stupidity it was ignorance, and ignorance is bliss. I thought about putting this under the Under-Engineered update but this poor creature has already endured enough scoff. Must have been nice evolving without any preditors. It was the dodos who imported their preditors that were under engineered. 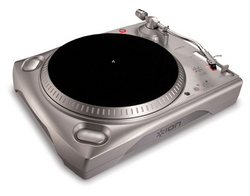 What next, a Bluetooth 8-track player? Do your part to keep CW alive in Amateur Radio, and show them ones that want to quash it what's what. We'll even try and help some of you old farts that don't think you can remember...we will have special programes for the "difficult" student. e-mail me for particulars on investment plans. "...don't think of quitting 'till you've tried CWIT"
I've got some friends. They showed up last night because I've been careless about leaving food out. I also thought I'd sealed every nook and cranny behind that cabinet. They can chew their way through most anything if they think there's an "all you can eat--open all night" diner on the other side. So I had some old ricketty wooden mouse traps, you know the kind your grandfather used, why I ever kept them was now coming clear. CANT MISS brand. To make a long story short, I pulled the first victim out, cheeze still inbedded in upper and lower teeth this morning. Why go up to the hardware store and get one of them fancy newfangled environmentally correct contraptions when the SURE HIT brand will do the job when you need it. I don't mind picking them up (with a pair of pliers) and opening the Jaws Of Death (with another pair of pliers) and letting the corpse drop into the garbage. I'll tell you what I don't like, and the only reason I can think of to build a better mousetrap. I'm OK with cramming the cheese on the trap and setting the spring is no problem. I already said I'm OK with the clean-up. What I can't handle is the flip-floping around from the convulsions of the thing being strangled to death and nerves being severed only to dance their last breath. I'll set another tonight, but I'll wait until moments before I'm in a deep sleep and far from the dance floor. With all the doors closed. And music playing. Jazz. Sure all the newfangled traps (do they even call them traps anymore?) have the benefit of avoiding this slight incovenience. Sure they keep you from having to remeber to wash your hands--you should do that regulalry anyway, you know. But when it comes to success rate, ease of use (notwithstanding an occasional bruised finger,) and availability, nothing beats the old SURE SHOT. Like many other things nowadays, they build in "conveniences" only because they can. They, are the engineers. We are plagued with over-engineering and convinced that we "need" it so that enginereers can have their jollies and build a better mousetrap. My favorite example, and I'm sure I'll use it again, is electric car windows. I am amazed at the number of people who, when I explain to them what an unsafe feature this is to any automobile, say with conviction: "I've never thought of that before." See if you are one of them. Consider what happens when you wreck an automobile and the battery gets smashed, or even a main wire? Bingo, no more convienent access to rolling up or down any window from the comfort of the drivers seat. This is why those little pointed glass breaking hammers are so popular in the auto stores. Polpular to those who are aware what they're for, and why they are imperrative. Another scenario which is ever scarier, is driving into the water off a bridge. A good reason to leave one window cracked open a bit, so that it won't be so difficult to break a window with the pressure relieved. I'll never own a car without crank windows. Neither would my dad. Who put out the poll to determine that the consumer wanted electric windows? Who let the safety issue slip by? Where's Ralph Nader these days? Who is John Galt? What are the engineers thinking? Plato advocates a "Philosopher King" in his Utopia, I'm thinking, in our modern industrial age that's not enough. We need an "Engineer King." And I am running for that office. No electric windows in cars. An IQ test for all cell phones issued. Stupidity will be called what it is, stupidity. Not the politically correct verbage of today. A ban on all over-engineering. And most importantly...quash the quest for a better mousetrap. It's been five years since the Presidential Election fiasco in Floriduh and the Democrats are obviously still not over it, despite all the indie recounts and research that prove Bush actually did win. Speaking as someone who really does have something to complain about here in Washington State where dead Democrat voters cancelled out mine, It's difficult to understand why they can't give it up. Now, in the wake of Hurricane Katrina, they're trying to blame that all on Bush. It seems everything that goes wrong since 2000 is Bush's fault. Don't they realize that crying wolf discredits anything they claim? Unlike the "Boy Who Cried Wolf" who merely did it for fun, it's obvious they are doing it out of panic and desperation. Poor Dems. When I was a kid, the Electronics section of the store was where you found the transistors and resistors. The solder and the printed circuit boards to build something electronik. Electronics was what I read about in my dad's technical periodicals, not the shimmering throw-away DVD players lining the Electronics section of the local super store. Ocassionally you'll even find a person in those stores that knows something about Electronics. Dont count on it though. Last week I went to Radio shack to see if they had a couple .002 mfd capacitors. I didn't bother responding to the (very cute) girl there when she asked me "can I help you find something?" I already knew the answer to that. They only had .001mfd, then .0047mfd, nothing between. On the way out she says to me "Maybe try the local hardware store?" Made me think that she probably doesn't even know the true meaning of Hardware, all anatomical allusions aside, my first computer I soldered together using the sloder see shells. The preceding is not an excerpt from James Joyce's Finnegans Wake, but an example of a typical initial Morse code contact. Abbreviating, acronyms and special codes in Morse code make sense. You are transmitting single characters at a rate determined by your capability...reception may be rough and time is of the essence. So why say fer instead of for? Not because most Morse code operators are hicks, but because the letter O is three long 'dahs' and e is one short (dit) also the combination of letters making up fer has a more distinctive sound when combined than for. It being a commonly used word it makes sense to shorten it and make it more easily recognizable. I'm still not over all my peeves. I still correct the checker at the convenience store when they say "please enter your PIN Number." I still avoid reading the attempted censoring of subject lines in my junk mail folder. And I abhor the street-speak, ghetto-talk, or whatever you call it in a lot of RAP. I have heard from many blacks that language touted by many rappers as "cool" has always been indicative of lower-class and under-educated. We seem to have as many variations in the English language as Elton John has sunglasses. I'm probably showing my out-of-touchness by admitting I ran into a new (to me) term this last week. Indie. At first I thought it may refer to something related to the culture of the West Indies, but Dictionary.com informed me it is short for Independant. I did not find it in my Webster's Collegiate. It used to be, for a word to become a part of accepted use, it had to endure the long road to being admitted into Webster's, now, the official language can change as quickly as a webpage can be updated. I had to laugh (not OL) as I read about the Indie music scene, which some suggest gained it's foothold when the Ditzy Chicks proved they could make it without Sony. (Now Sony has their own 'Indie' division. and the DC's have proved they can make it while making seditious remarks about our leaders in foreign countries.) I remember my days running with bikers, there were always those who did not want to be affiliated with the HA's, the Bandidos or any such other "Outlaw" group and referred to themselves as independent. It struck me as oxymoronic that in order to not be associated they needed a label. Also, our nearest Major League Baseball team the Seattle Mariners have for years been fond of shortening the players names with the cutsie suffix -ie. Cammie, Boonie, Nellie, and Shiggie to name a few. Ichiro is safe from this endearing moniker modification, but not so with Richie Sexon. Yes, they're calling him Sexie. So my reaction to the indie music biz is that it's cute. I sit here facing myself. I'm blogged. This is me! Yes, many times I've formulated thoughts, theories, postulations, and wished I had an outlet to share them. Even to just get them in writing would have been nice. Prior to a week ago, I was just nobody Christopher Hobbs. Now, in the midst of technological wizardry, I am a "dot" on the map of blogdom. Is this a good thing? Or have I succumbed to the evils of the system? Have I jumped on the wagon of the myriads of mental masturbators thinking they have something worth saying? 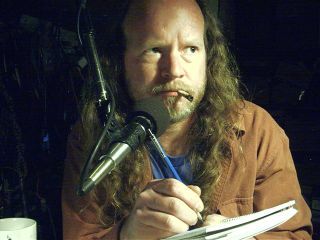 When I began using Morse code almost one year ago, I wanted to know what it was like for someone in the early days of radio communicating with a mode that was, at that time, the only means of communicating with others outside your local perimeter. I already had the vacuum tube radio (yes I know, I should have picked up a spark gap transmitter, but they didn't have any at the local hamfest) all I needed was a hand key. Nowadays, the majority of Morse operators use fancy modern devices like bugs (weighted mechanical device driven by a fulcrum,) keyers (electronic dit and dah generators,) and even interfaces to the computer to control the length, separation and spacing required to make legible the single tone afforded you in the CW (Continuous Wave) mode. The second reason I chose to use the "basic" tool of a hand-key was, I believed it would give me a greater appreciation of the skill of interpreting the dots and dashes that make up this primal means of communicating. Simple tasks require simple tools. Would I have suffered by learning CW with a keyer? I believe so. Now that I've been using a keyer for a few months, it is clear that relying on the machine does not guarantee accuracy as is the tendency to believe when it comes to this type of automation. The user is still a major part of the equation. Before I descend into self-psychoanalyzation, as seems so easy to do with these evil forces pushing at the doors to my consciousness, let me talk about Fists. Every CW operator develops a particular "fist" or style to his sending. So varied and identifiable that one can recognize another without the FCC required identification call-letters. There is some amount of personality to code sent with an automated keyer, but not to the degree of pushing two pieces of brass together at will. If I had learned on a keyer, my fist would have suffered in it's development. Would Hemingway have been able to "pen" his great works with a computer, I'm sure I'm not the first to ask that question. It's already been settled that I will never rise to the level of a Hemingway, but is it silly for me to think that I will not achieve what greatness (or littleness) I have in me if I'm using this automated method of blogging? (bloggers note: this not-so-stream-of consciousness work was just interrupted by a communique with a gentleman in Sacramento (WA7SPY) who had a very nice fist albeit he was using a keyer. I used both. I noticed that setting my brain against the digital excatitude of semiconductors sharpens my motor-sense of doing it myself. I remember when I was first starting with the hand key, something in me feared the electro-mechanical devices used to "cheat" the code. Feared that my fist would suffer as I fear my writing will suffer from being *blogged. I am in no way a neophyte when it comes to computer technology and the mounting menagerie of methods in which they are net-worked. I used to teach classes at the local University to the staff and faculty on how to use the BITNET, and have followed the net's development since then. Now I'm at that critical point of this venture where this technocratic influence has the potential to send me blogging my way to infamy or boredom. I sit here in my shack surrounded by technology, this blogsite, computer, radio transmitters, an electronic keyer, digital camera, PDA (yes, I broke down and got one...picked up an ancient Palm m100 for $5 at a local yard sale yesterday...though I swear I will never break down so far to get a cell phone.) Hey, I just downloaded a Morse Code program to the Palm, and an abacus spreadsheet program...maybe this isn't modern. Is all this gagetry going to make my life easier? Or turn me into just one more long-haired automaton? "Null A" is a reference to Alfred Korzybski's useage in Science and Sanity and is short for "non-Aristotelean." I have been fascinated by this concept for many years. I read Science and Sanity in the 80's, and went on to study the works of S.I. Hayakawa who elaboroated on many of the ideas put forth by Korzybski. The term was also used by science fiction writer A.E. Van Vogt in his trilogy consisting of "The World of Null-A" "The Players of Null-A" and (I can't remember the third--"Null-A: Revisited?" --the third was forgettable.) Gilbert Gosseyn, the main character, is confronted with advancement up the "non-Aristotelean" ladder, and eventually takes him to the "new-world" on Venus, where non-Aristotelean thought reigns supreme. Korzybski, along with Dr. Douglas Gordon Campbell and Dr. Charles B. Congdon, psychiatrists at the Student Health Service of the University of Chicago, incorporated the Institute of General Semantics in Chicago in 1938. After I moved to Ellensburg in 1989, I did some research in the University library here and found out that in 1935 the First Annual Congress on General Semantics was held in Ellensburg, WA. at the Washington Normal School (now Central Washington University.) All the notes and papers are available there.